Girlpool have released a music video for the song “Magnifying Glass.” FADER, who premiered the video is calling it “sweet like summer” and saying it “brings a few of the song’s more vivid metaphors to life.” The song is beyond cute and the video captures the fun-loving sentiment perfectly. The duo will perform in Chicago on October 13 at Subterranean. Yes! 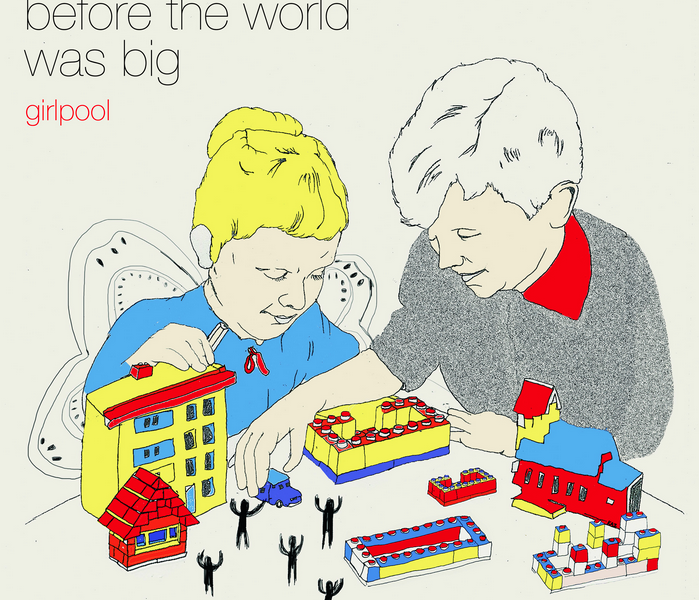 Girlpool’s critically acclaimed debut album, Before The World Was Big is out now digitally and physically via Wichita Recordings. Born and raised in Los Angeles, Girlpool is a Philadelphia based two piece made up of Cleo Tucker (Guitar) and Harmony Tividad (Bass). The two met at Los Angeles DIY venue the Smell and quickly grew very close. Their sound is raw, comprised only of a guitar, bass and vocal harmonies. Cleo and Harmony use this stripped-down instrumentation to accentuate their vulnerable yet powerful lyrics. After releasing their self-titled EP, Girlpool relocated to Philadelphia at the end of 2014 looking for change of pace and scenery. There they recorded their debut LP, Before The World Was Big, with Kyle Gilbride (of Swearin’. Engineer behind Waxahatchee’s Cerulean Salt, Radiator Hospital’s Torch song, etc). Before The World Was Big explores the concepts of growth, friendship, and the interaction between identity and environment. The introspective-punk duo captures growing pains and existential quandaries with a honest and true intention.